City Hospital No. 67 organized web-conference with neurosurgeons from Moscow, Portugal, Kurgan, and Beslan. Representatives from Medical Center at the Moscow State University as well as neurosurgeons from Novosibirsk also participated in this conference. 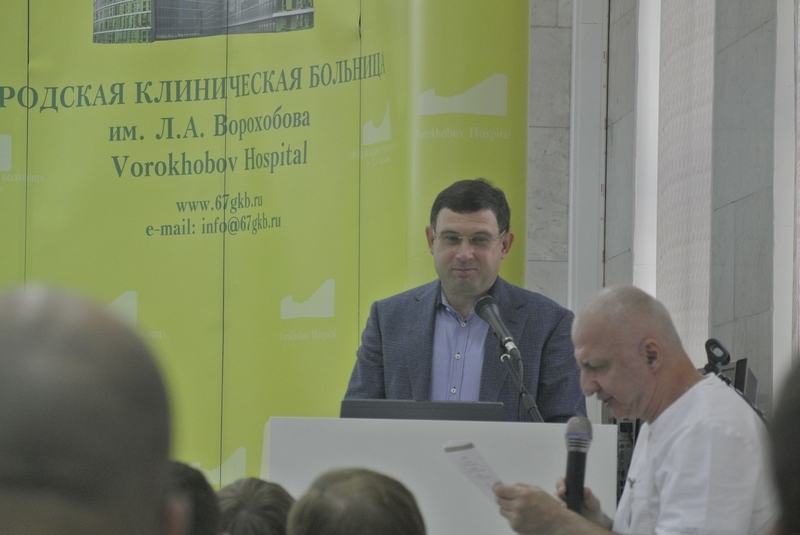 It was devoted to the new surgical technologies for patients with spinal injury due to osteoporosis, surgical treatment in compressive spinal fractures (presented by Andrey Grin, the chief neurosurgeon in Moscow, professor at Sklifosovskiy Research Institute for Emergency Medicine). Dr. J. Melansia (Portugal), specialist on anterior approaches in spinal surgery, presented on biomechanical strategies in procedural planning. Alexander Gorozhanin, Head of Neurosurgery Department at Botkin Hospital, presented on infectious complications in spinal surgery. Dmitriy Dzukaev, Director of Moscow Spine Center, in his presentation, explained how new robotic technologies increase efficacy and safety of surgical procedures, reducing the risk of complications. It was the second web-conference in Moscow Spine Center. Web-conferencing made it possible for specialists from different countries meet on-line without spending extra time on travel, which is inevitable for traditional conferences. Moscow Spinal Center will continue organizing web-conferences, considering great interest to such meetings from Russian and foreign spinal surgeons. Video-recording of second international web-conference "New surgical technologies for patients with spine injury and osteoporosis. Infectious complications in spinal surgery", 25 September 2015.